The book of Revelation brings eternity in view. It calls our attention to living in view of eternity. This is because the hero of the book is our eternal Lord and Savior Jesus Christ. And this is the first inspiration we get when we begin to read the book of Revelation. It opens with its own title and theme, “The Revelation of Jesus Christ…” (1: 1). It is the testimony of Jesus Christ given to assure His church that He is in control of the future. the complete final destruction of the world, as described in the biblical book of Revelation. an event involving destruction or damage on a catastrophic scale. All too often, we follow this default path. Many read the book of Revelation with violent emotions. We read wars, famines and disease epidemics. There will be a killer called Antichrist who will pluck out people’s eyes, chop off people’s head, and will burn some in the fire. There are terrifying beasts that will throw the world into chaos. Billions will die of famine, war, earthquake, and plagues. An angry God will descend to execute judgment against the wicked and consume everything in hellfire. Sinners will burn eternally in hell. This can be a wrong view of the book of Revelation. Apokalupsis is a compound of two Greek words apo + kaluptein (apo= away, kaluptein= to cover) The word literally means to pull the lid off something. 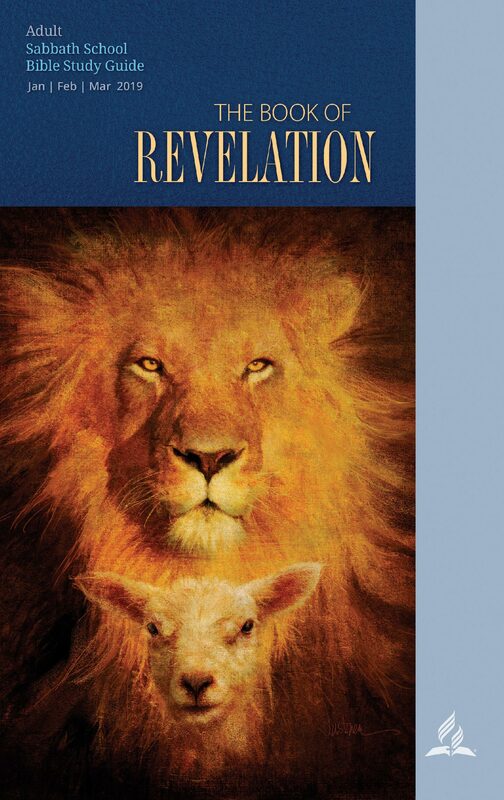 Hence, the book of Revelation is a revelation about Jesus Christ. It is an open book to be read with understanding (1: 3). The Book is God’s Word to the church. Verse 1 says, “God gave to Jesus.” God is the source of all revelation and inspiration. When Jesus walked on our planet, He spoke the Word of God. 49 For I have not spoken on My own authority; but the Father who sent Me gave Me a command, what I should say and what I should speak. 50 And I know that His command is everlasting life. Therefore, whatever I speak, just as the Father has told Me, so I speak (Jn 12: 49-50). The gospel of Christ was God’s Word. Jesus spoke according to God’s will for humanity. And here again, in the book of Revelation, the picture is quite clear, it is God who is giving the book of revelation to Jesus Christ. In the beginning was the Word, and the Word was with God, and the Word was God…. And the Word became flesh and dwelt among us, and we beheld His glory, the glory as of the only begotten of the Father, full of grace and truth (Jn 1: 1, 14). He is dressed in a robe dipped in blood, and his name is the Word of God (Rev 19: 13). God’s word and will are made manifest in the person of Jesus Christ. Heb 1: 1-2: “1 In the past God spoke to our ancestors through the prophets at many times and in various ways, 2 but in these last days he has spoken to us by his Son, whom he appointed heir of all things, and through whom also he made the universe.” The Son is the speech of God, the Word. Again, if the Book bears the name of Jesus Christ, then no one has the right to take it from God. Only the Son alone is worthy to receive it and to open it because it is His book and the Book is about Him, and the Book is Himself. It is just like a sealed will for someone who only has the legal right to open it. John saw this in a glorious satisfaction in Revelation 5. “We need constantly a fresh revelation of Christ, a daily experience that harmonizes with His teachings.” The Ministry of Healing, 503. “I needed help, and I found it in Jesus. Every want was supplied, the hunger of my soul was satisfied; the Bible is to me the revelation of Christ.” The Ministry of Healing, 461. “Paul had prided himself upon his Pharisaical strictness; but after the revelation of Christ to him on the road to Damascus, the mission of the Saviour, and his own work in the conversion of the Gentiles, were plain to his mind; and he fully comprehended the difference between a living faith and a dead formalism.” Sketches from the Life of Paul, 65. “The world needs today what it needed nineteen hundred years ago—a revelation of Christ.” The Ministry of Healing, 142, 143. Anytime we pick the book of Revelation, we should seek for the revelation of Jesus Christ before anything else. Chapter 10: John receives the unsealed scroll (open book) from an Angel with the instruction to eat and to “prophesy again about many peoples, nations, languages, and kings” (10: 8-11 Compare with 22: 6, 16). Whence, the unfolding scenes about the church of Christ begins in a dramatic saga with Satan. Any serious student of the book of Revelation will not fail to see this sequential transmission of the book to John. Another internal literary network is the vision of Jesus Christ in verses 10-20. John does not only see Jesus, but he pays particular attention to everything in the vision such as the place, adornment, personality, and everything that he sees around Christ. These are closely linked up with the seven churches, and the entire book of Revelation. The identification of Christ’s attributes to the seven churches, followed by the expression “I know your works” fulfills the vision of Christ among the seven candlesticks. The Christocentric nature of chapter one is quite broad and reflects the whole relevance of Jesus Christ to the churches. And I will repeat again that the majesty of Jesus is the most crucial aspect of the book. Previous When was the Book of Revelation written?